NEW YORK, July 31 (APP): The confrontation between Khizr and Ghazala Khan, the Pakistani-American parents of a US soldier killed in Iraq, and Republican presidential nominee Donald Trump has emerged as an unexpected and potentially pivotal “flash point” in the U.S. general election campaign, a leading American newspaper said Sunday. 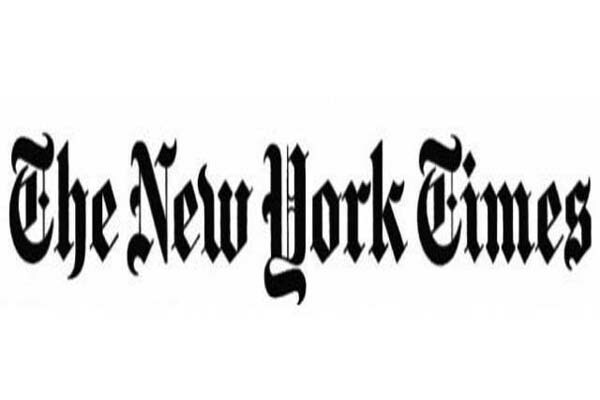 The New York Time said that Trump “reeled” amid a sustained campaign of criticism by the bereaved parents and a rising outcry within his own party over his rough and racially charged dismissal of the couple. Hillary Clinton sternly reprimanded Trump, saying at a church in Cleveland, Ohio, that the billionaire businessman had answered the Khan family’s sacrifice with personal disrespect, and with disrespect for American traditions of religious tolerance. In a direct appeal to voters inclined to support Trump, Khizr Khan pleaded with them to reject his brand of politics. He has held up Trump’s proposal for banning Muslim immigration as characteristic of a campaign Khan has called bigoted and contemptuous of the Constitution. And Ghazala Khan, in an opinion article published in The Washington Post, rebuked Trump for suggesting earlier this weekend that she had not been permitted to speak at the Democratic convention. Mrs. Khan said she did not speak because she did not believe she could remain composed while talking about her son, Humayun Khan. Senator Lindsey Graham, Republican of South Carolina, said Sunday that Trump had crossed another inviolable line. Like his comments about Curiel, Graham said, Trump’s jabs at Khizr and Ghazala Khan were entirely unacceptable. “This is going to a place where we’ve never gone before, to push back against the families of the fallen,” he said. Congressman Mike Coffman of Colorado, a Republican who served in combat as a Marine, decried Trumpâ€™s remarks. Coffman, who represents a crucial swing district in the Denver suburbs, said Trump had disrespected American troops. “Having served in Iraq, I’m deeply offended when Donald Trump fails to honour the sacrifices of all of our brave soldiers who were lost in that war,â€ Coffman said. Since Thursday, Khizr Khan has mounted an extraordinary public campaign to condemn Trump for the proposal, the newspaper pointed out. He has asked Republican leaders to disavow Trump and has repeatedly characterized Trump as a person of unredeemable callousness. And this weekend, his wife joined him as a vocal critic of Trump. Trump has faltered and flailed in his response. In his first reaction, during an ABC News interview, Trump questioned why Khan’s wife did not speak alongside him at the Democratic convention, implying that she had been forbidden from doing so. Trump also insisted in the same interview that Khan was wrong to say he had not sacrificed for his country. Trump offered his work building a business as an example of his sacrifice. Facing mounting criticism from Democrats and Republicans, Trump released a follow-up statement on Saturday night, describing the Khans’ deceased son as a hero, but insisting that Khizr Khan had “no right” to criticize him the way he did in Philadelphia. Trump on Sunday made a third attempt to deflect Khizr Khan’s criticism, writing on Twitter that the real issue at stake in the election was terrorism. And he continued to complain that Mr. Khan had been unfair to him. On television, Trump’s campaign chairman, Paul Manafort, dismissed criticism of Trumpâ€™s comments about Mrs. Khan as â€œClinton talking points.â€ He attempted to distance Trump from his plan for banning Muslims, arguing that Trump was now focused on a â€œgeographic suspensionâ€ of immigration, rather than one based on religion. Most Republican leaders have remained silent so far as Khizr Khan and Trump have traded criticism. The top Republicans in Congress, House Speaker Paul Ryan and Mitch McConnell, the Senate majority leader, are on record opposing Trumpâ€™s idea for banning Muslims, but neither has spoken out about Mr. Trumpâ€™s handling of criticism from the Khans, the Times said. The Republican vice presidential nominee, Gov. Mike Pence of Indiana, may be in a particularly awkward position, it pointed out. One of his sons is a Marine, a fact he frequently mentions on the campaign trail. “Penceâ€™s ability to navigate a racially charged argument between Mr. Trump and a Gold Star family is emerging as his first difficult test as Mr. Trumpâ€™s running mate,” the Times said. So far, Pence has been silent, and his aides referred requests for comment to Trumpâ€™s campaign staff, according o the Times. A few other prominent Republicans and national security leaders have spoken out, however, expressing dismay at Trumpâ€™s rough treatment of a family that lost its son at war. Governor John Kasich of Ohio, a Republican who has refused to endorse Mr. Trump, said the Khan family deserved better. “There’s only one way to talk about Gold Star parents: with honour and respect,” Mr. Kasich said. And Gen. John Allen, a retired officer who led American forces in Afghanistan and later coordinated international efforts against the Islamic State, said on ABC’s “This Week” Sunday that Trump was endangering American troops overseas with his caustic attacks on Islam. General Allen, who spoke on behalf of Mrs. Clinton at the Democratic convention, singled out Mr. Trump’s criticism of the Khan family as beyond the pale.